As I read this, I couldn't help but feel a little nostalgic and saddened. VB is being pushed to the side line allowing Microsoft to focus on the main attraction, C#, and their new rising star F#. VB is where I cut my teeth. Working with Classic ASP (or ASP as I knew it), and VB COM Objects, something younger developers will never understand the pain of. Going back even further, when I got my first 'proper' computer, a 286 running MS-DOS 6.11. I started tinkering with QBasic, a precursor to VB. I was only about 8 at the time so I wasn't building anything ground-breaking, none the less my interest in programming was piqued. Fast forward a few years and fresh out of university I am building e-commerce sites for JD Sports, Size? and A-Plant (to name but a few), these were built with on ASP (with tables, no divs back then!) 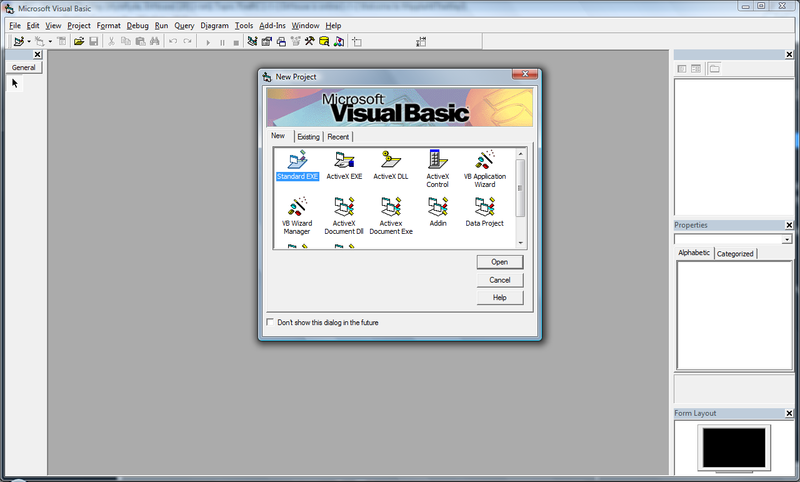 and VB Com Objects. But alas, it would appear that this language, whether you love it our hate it, is being sent to the retirment home. Microsoft claim "We will do everything necessary to keep it [VB.Net] a first class citizen of the .NET ecosystem", but when VB 15 comes with a subset of C# 7.0’s new features, how can this be possible? They have added tuple support, but it feels like it is only because they have to. Features like local functions won't be added, as they will effect readability! Is this the beginning of the end? I can't help but think so. Nostaglia aside, I do feel it is time to hang up the VB hat and focus on taking C# (and F#) forward and focus on improving the languages that people want to use, I know BASIC was one of the building blocks of Microsoft, first seen in 1974, but times change and things move on. First introduced in 2001 C# arrived with the .net framework, and was a breath of fresh air for Microsoft developers everywhere. It was a steep learning curve for VB developers, but lots of developer never looked back. From this point on it was clear that VB would play second fiddle to C#, and looking back that was the beginning of the end for VB. After the introduction of C#.net, VB.net and the .net framework, it was obvious that Microsoft were innovating and working hard on C# and VB was somewhat of an after-thought, and was being brought inline with C#, not the other way around. I must admit, I haven't done much with F# and I really do need to take another look at it, it certainly doesn't seem to be going anywhere anytime soon!